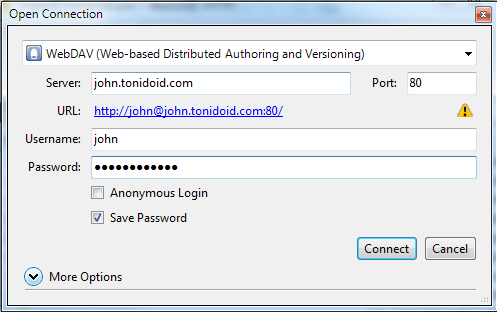 Cyberduck is a open source WebDAV client, that enables access to remote files and folders provided by Tonido. The main advantage of using Cyberduck is that it allows quick editing of remote files and saving back to your my computer transparently. 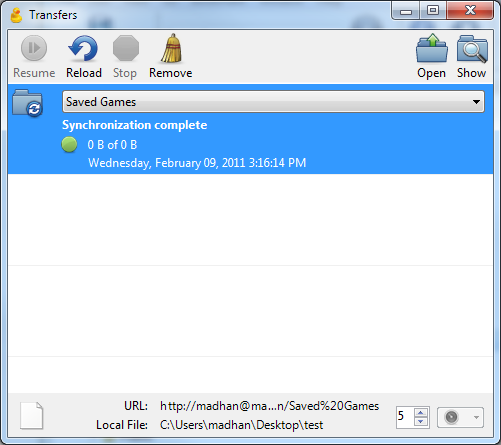 It also has a nifty folder synchronization feature. 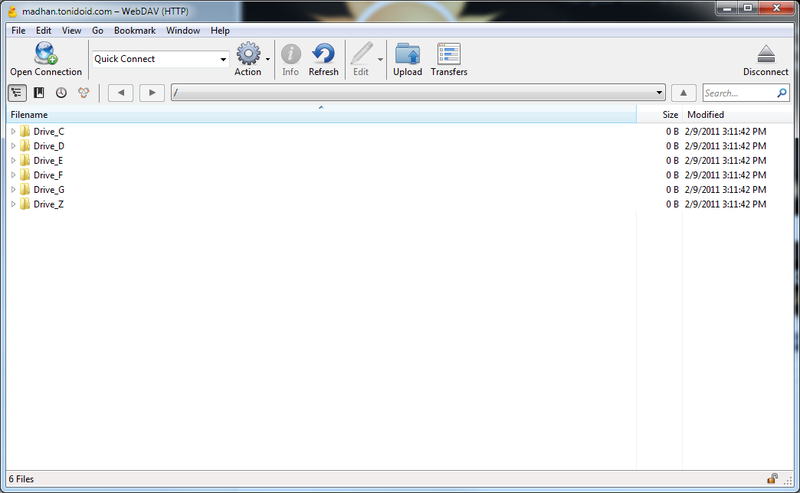 Here are a bunch of screenshots on how to use Cyberduck with Tonido. 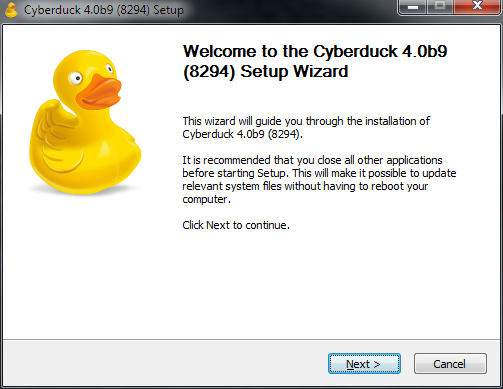 2) After install, open cyberduck and click on “Open Connection”. 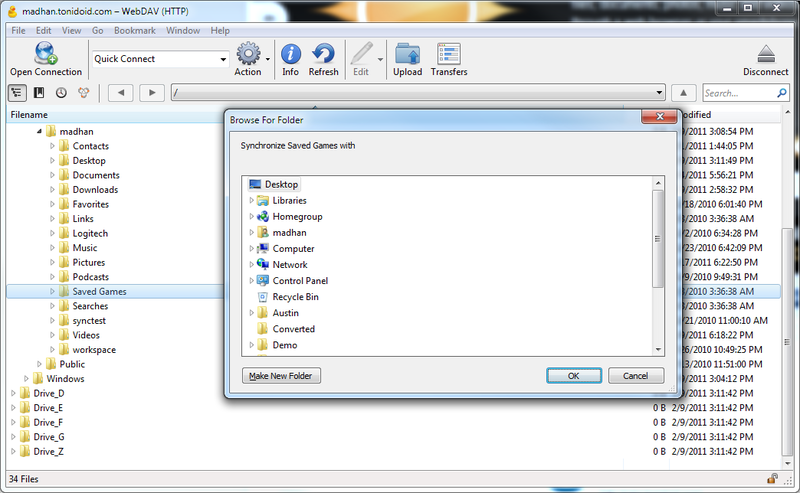 5) If you want to synchronize a remote folder with a local folder, simply right click on it and hit synchronize. 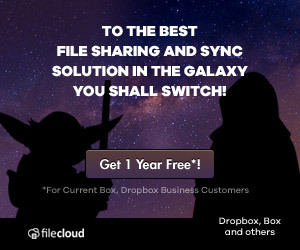 If you are looking a secure sync software that is trusted by 1000s of enterprise users for file sync, then pl checkout FileCloud. FileCloud offers the best in class file and folder sync for small and large enterprises. Learn more! Do they do a portable version of this. This proves somuch quicker than logging in. thank you for the post. I used Cyberduck to connect to Tonido plug. 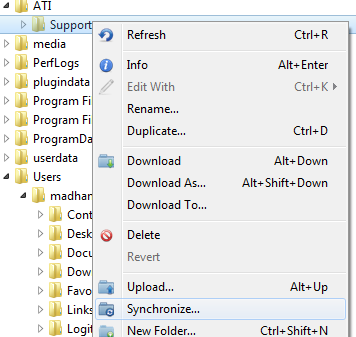 However, when I connect I only see a file called Drive_Root and no directories are available. Latest version of Cyberduck doesn’t work properly with Tonido.